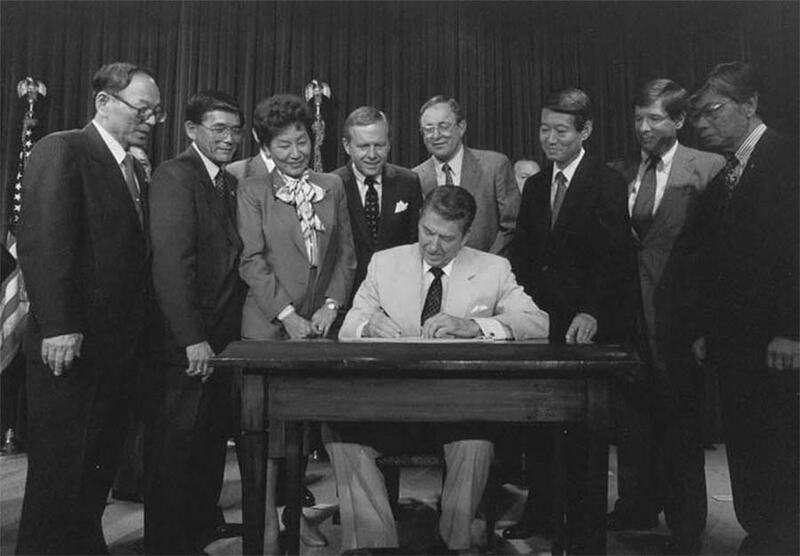 When the US entered World War II in December 1941, President Franklin Roosevelt signed Executive Order 9066 on February 19, 1942 which permitted military commanders to “prescribe military areas from which any or all persons may be excluded” allowing for the removal and forced relocation of anyone of Japanese descent residing in California, Washington, Oregon, parts of Arizona and New Mexico to US Government war camps. Approximately 120,000 men, women and children of Japanese ancestry were sent to one of ten military camps for the duration of the war. The Panama Hotel served as a ‘safe place’ for people of Japanese ancestry living in Seattle to store their valuables during World War II. In 1945, Mr. Takashi Hori, who had been sent to the Minidoka Japanese internment camp in Idaho, returned to Seattle to resume operation of his business from the management company while he was away. He discovered approximately 50 unclaimed boxes and trunks located in the basement and subsequently tried to reunite owners with these items, however many families had not returned to Seattle and were difficult to locate. When current owner Jan Johnson acquired the building, she temporarily loaned some of the trunks to historical exhibitions in places like Ellis Island in New York and the Japanese American National Museum in Los Angeles’ Little Tokyo neighborhood. In 2001, Johnson opened the Tea & Coffee House on the ground floor that displays historical photographs and other artifacts. The forced relocation of Japanese-Americans to US military war camps during World War II was one of the most egregious violations of civil liberties in American history.